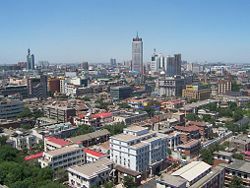 Tianjin is one of the four municipalities of China together with Beijing, Shanghai,and Chongqing. It is located in the northeast of North China Plain, with the Bohai Sea on the east, and the Yuanshan Mountain on the north. 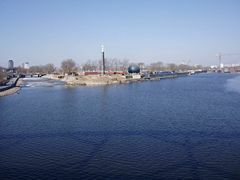 It is approximately 120 kilometers on the north east side of Beijing covering an area of 11,300 square kilometers. Tianjin is one of the four centrally administered municipalities, together with Beijin, Shanghai and chongqing. 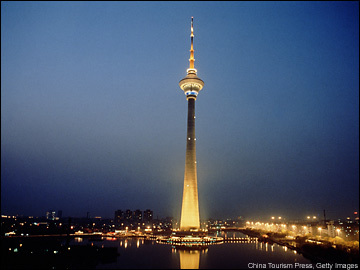 Tianjin has become the hub of communications in North China and the gateway to Beijing. It's the largest industrial city in North China and also an important commercial center and largest ocean port in northern China. Tianjin Harbor has about 56 docks and 30 international sea routes, serving major cities in the North and Northwest China, including Beijing. Tianjin also has a well-developed network of transportation system, serving over 30 cities throughout the country by air transportation. Tianjin is one of China's biggest industrial centers and is rich in petroleum, natural gas and sea salt. It is a prosperous business center as well as a distribution center for goods and materials in North China. The top ten attractions in Tianjin, known as Jinmen Shijing, are Gu Wenhua Jie, Dagu Emplacement, Huangyaguan Great Wall, Dule Temple, Haihe River, Water Park, Panshan Mountain, Hotel Street and Food Street, Tianjin TV & Radio Tower and Zhonghuan Cailian.